Shopping for Mork and Mindy Bed and Bath? Nanu-Nanu! Celebrate the classic comedy television series Mork and Mindy and bring home the Mork and Mindy Mork Woven Tapestry Throw Blanket. 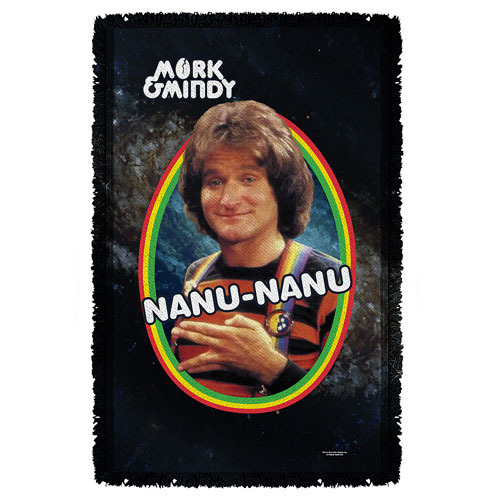 The amazingly out of this world throw blanket features an image of the famous character Mork, portrayed by the legendary Robin Williams. Measures about 58-inches tall x 36-inches wide.